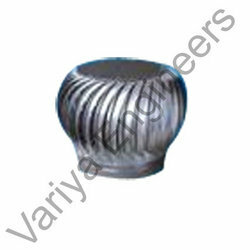 Our company is regarded as a specialist in offering a huge array of Turbine Air Ventilator. These ventilators are renowned for their sturdy spider type frame construction to withstand adverse weather conditions. Working Principle of Air Ventilator: The ventilator is combination of both natural & forced ventilation system.